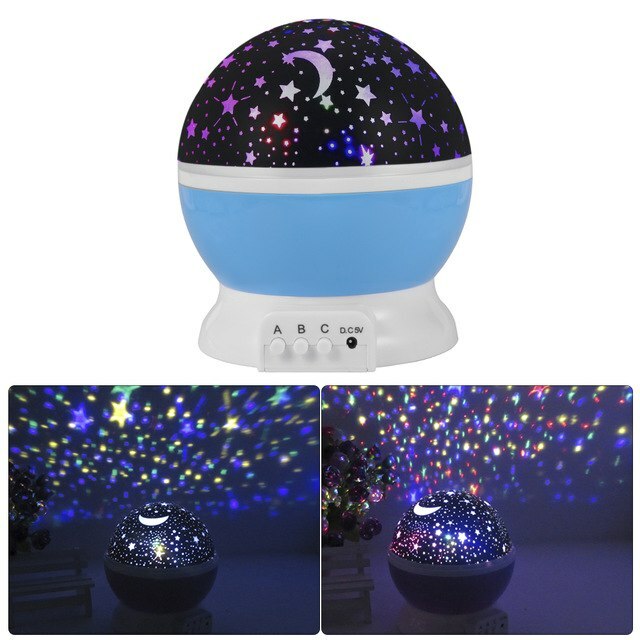 Newest Generation :There are 4pcs LED Beads of warm light, blue light, green light, red light.They are match with 3 Push-Button (A B C). 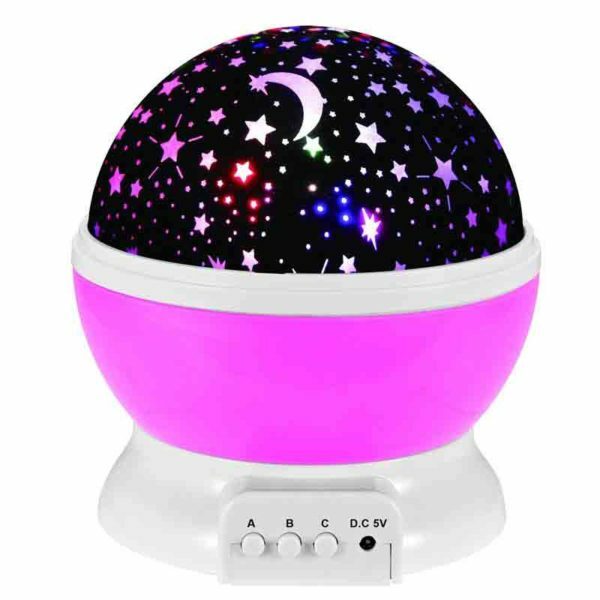 PERFECT for your KIDS as a NIGHT LIGHT to SLEEP: 3 buttons located on the front which labeled A, B and C. A - yellow light mode button ,can turn the yellow light on and off, B - cycles through color options and C - turns on and off the rotating motion option.There are 4 color options, blue, yellow, red and green. You can choose to have one color or multiple colors at one time. MORE BRIGHT: The Higher power Beads which could be more Bright and more beautiful.The Lighting Range also bigger than the old one.POWER THODEL: 4 x AAA Batteries could support the Generation,Or USB cable connect to the electric. 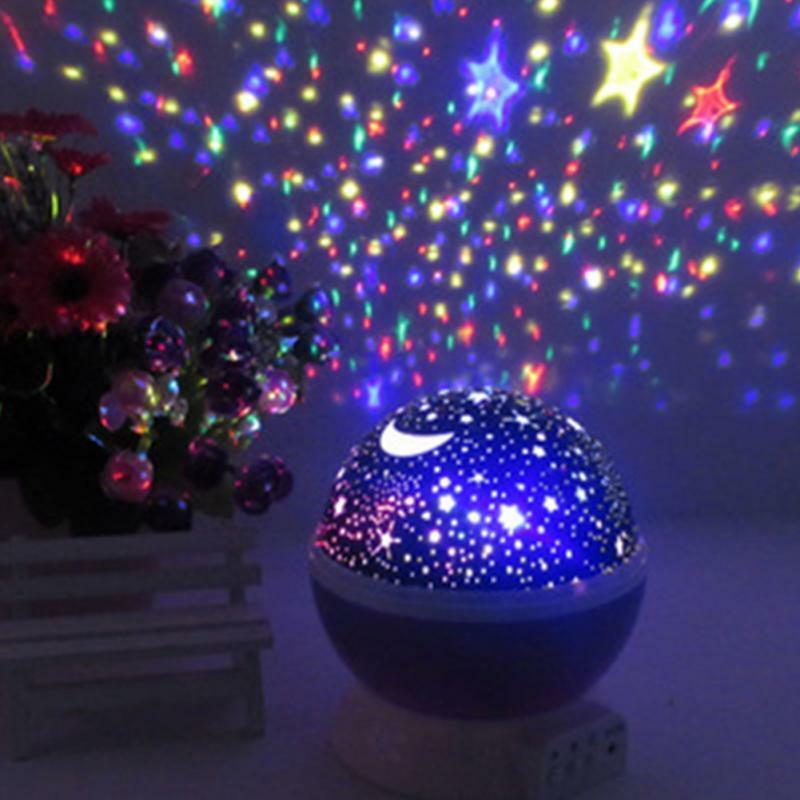 BEAUTIFUL:This is a new popular cosmos Star Projector lamp, it can help you put the universe back home, give you a piece of the sky changes color, without need for hard to find the field,rotating its base, there will be different colorful space, find the that you belong to it 2.It is not only give your child universal Astronomical Science and enhance the capacity of good assistants hands, but also give you the couple to create a romantic surprise.